We are pleased to offer you 30 years of the finest quality and most entertainining courses available. Please select the course(s) you are interested in and you will be done in no time! Kissimmee Driving School Online, one of our nation's oldest and largest traffic safety companies, prides itself on its educational mission which is, quite simply, saving lives by teaching people how to become safer drivers. Our professionally-written curriculum is available to you via classroom courses, internet, video/DVD, and now the first and only approved booklet course in the state of Florida! Quality and integrity is the foundation of our business and our commitment to you. We are here to help support you every step of the way -- just as we have helped close to two million other drivers during our 30 years in business. All of our courses are professionally designed to present valuable, life-saving information in a fun and easy to understand format, using a wide variety of state-of-the-art teaching techniques. CLASSROOM COURSES - As a DHSMV-approved course provider, Kissimmee Driving School Online offers a classroom program that is far superior to any other traffic safety course currently available. What sets us apart is the quality of our instructors. They are charismatic and engaging speakers who will deliver the curriculum with energy, passion, and a sense of humor. For most of our courses, the instructors utilize our copyrighted "Flipchart Presentation" which guarantees consistency from class to class and allows the student to follow along with the help of audio-visual learning aides. We want you to be entertained and laugh while you learn. You can make an appointment for most of our courses online or please call us at 407-348-0005. Our helpful operators can answer your questions and schedule an appointment 6 days a week (MON-SAT 9AM-6PM). INTERNET COURSES - Maintaining the high-quality of our educational programs is our ultimate goal, and we have carried this philosophy over from the classroom to the Internet, where we now offer the newest, most dynamic, and entertaining online traffic school programs available today. Quality educational content is provided 24-7 along with state-of-the-art technology and superior customer service and support. Our students experience 99.9% uptime, due to our reliable and dedicated in-house technical support team, redundant technology, and a course design created to ensure a quality customer experience. Quality and reliability are what you can expect as a Kissimmee Driving School Online student. Your personal information is safe and secure, and we will never provide or sell this data to any entity. (Although we are required to provide certain data to the DHSMV and/or Clerk of Courts). Our online courses are interesting, self-paced, fast and fun. Kissimmee Driving School Online online courses were actually written by a Hollywood screenwriter! Our Internet courses are known for their user-friendly nature and quality, entertaining educational content. This is why we have probably the highest level of referral business in the industry. All of our online courses are DHSMV-approved. We are confident that you will enjoy any of our entertaining online courses. VIDEO/DVD COURSES - Our unique and newly DHSMV-approved VIDEO/DVD course is the best course of its kind ever produced in the State of Florida. Kissimmee Driving School Online Basic Driver Improvement video course is revolutionary in its design and content and is, without question, the most engaging way to take a four hour BDI/TCAC course in Florida. Not only is this course a powerful educational tool, it is the funniest video on the market - guaranteed! The instructor is Steven Elkins, a veteran traffic safety instructor (and professional actor) who really connects with his students at home. His presentation is sharp, intelligent, articulate and energetic. The video is loaded with dynamic traffic footage that clearly illustrates the law and driving safety concepts by bringing the classroom into the street – where the action is! Exciting video effects, computer animation and original music will enhance your educational experience and keep you stimulated, challenged, engaged, entertained and receptive to the traffic safety message. The Kissimmee Driving School Online BDI Video course marks the debut of not one, but six traffic safety professionals (all performed by Steve) including Chef Francois Fenderbender, Dr. Eric Von Drivenheimer, Statistician Stan Stanley, Dr. Otto Mobile, Leonardo DaVehicle, and Morty Motormoiuth – an awesome lineup of comedic characters who make sure those 4 hours will just fly by! We know you will find our video to be nothing short of an educational masterpiece! It is surely the best way to fulfill Kissimmee Driving School Online requirement but don't forget… all of our courses are "Kissimmee Driving School Online!" Including…. 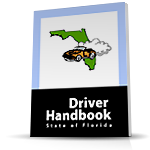 BOOKLET COURSE - Kissimmee Driving School Online is proud to announce the first four hour BDI/TCAC take-home booklet course ever been approved by the Florida DHSMV. Kissimmee Driving School Online's comprehensive and professionally-designed booklet course was created specifically for people who prefer the convenience of reading off the printed page to the computer screen. The booklet course affords individuals without Internet access the ability to complete their traffic school education anytime, anywhere at their convenience -- without a computer and without the need for technical support! The information contained in Kissimmee Driving School Online's quality booklet home study course is identical to our internet course and features professionally-written text, large font, colorful and insightful illustrations, and the convenience that only a book course can deliver. We are confident that you will love our newest addition to the lineup of quality Kissimmee Driving School Online courses. Incidentally, Kissimmee Driving School Online is currently one of the nation's largest providers of traffic school book programs. We decided to bring our expertise to bear and create the first booklet course in Florida -- one that will instantly become popular with students everywhere. It is honor to present this course to you.